Mission : Sat MAR 2-3 , 2019 YURT campout in Chilo, OH. Show up a half hour early to load gear. We will be crossing the Ohio River by ferry at Augusta, Ky (near Maysville map ) then travel north to Chilo Lock 34 Park. Boys will be working on 1st class cooking, orienteering, and pioneering as well as basic scout skills. 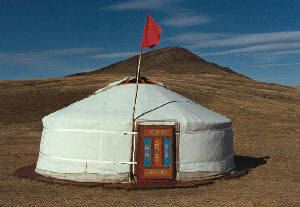 We will be sleeping in the yurts (heated via stoves), - but will need sleeping bag, pad, and pillow. IF YOU WANT CREDIT FOR CAMPING MERIT BADGE, BRING A TENT TO SLEEP IN OVERNIGHT. Return Sun about 3 pm. Adults may bring a cot to sleep on. MEDICAL FORM : MEDICAL FORMS AB&C - Each scout must have a the part A/B filled, no need for the physical. __Deck of cards (or some card game) but NOT any board games since there's no room. In a plastic bag – bring the clothes you will change into after travel (we will leave ALL uniform pieces – including Scout socks on the bus so we can travel home in clean uniforms).